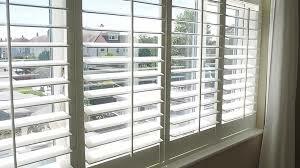 Imagine your windows with stunning California style shutters! Did you know plantation shutters have several names? California shutters being one of the most popular. Did you know that plantation shutters are typically desired along coastlines? Hence the name California shutters. 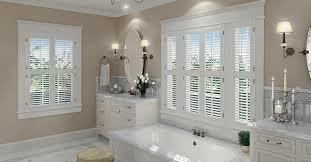 Shutters are known for multipurpose uses allowing proper ventilation, light control, and style to any home. Shutters are a great option for any windows in your home and have grown in popularity among homeowners around the world. They are more durable. Our custom Canadian made California Shutters Are made with premium, solid Canadian polar. Each piece of solid wood is treated and protected against moisture and each unit is individually hand picked to ensure the resulting shutter is perfectly square. Our Wood shutter units are heavier than their vinyl shutter counterparts because most Vinyl California Shutters are made with hollow pvc components that are made to expand and contract with heat and moisture levels in your home. 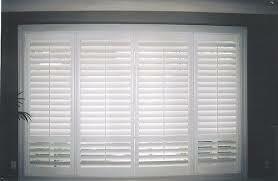 All shutters delivered to your home are made to your dimensions. Unlike many fabric window treatments, shutters are unique and no two shutters are alike. They are the only window treatment that adds value to your home. Wood shutters (like doors) are fastened to the window and unlike regular roller blinds or shades, California shutters are considered a premium home upgrade. California Shutters can be customized to match any classic and modern trim type and can be painted to match any modern colour and stain in the Benjamin Moore collection. California Wood Shutters are an investment and considered a premium home upgrade that can be resold with your home to up to four times the cost of what you paid for them; now that’s an investment worth making. Additional services that include repairing, repainting and refinishing. Contact DC Shutters for California Shutters in Brampton, Oakville, Kitchener, Waterloo, Hamilton, Niagara, Toronto, Richmond Hill, Aurora, Newmarket, Ajax, Whitby, and Oshawa.